Paper is a huge waste of time and money in all departments of a dealership. 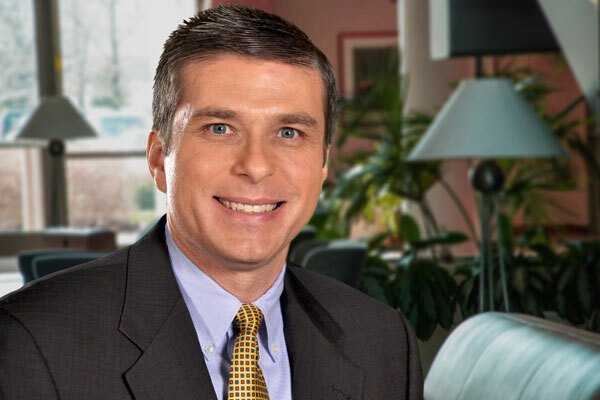 Three ways dealerships can increase efficiency by eliminating paper. 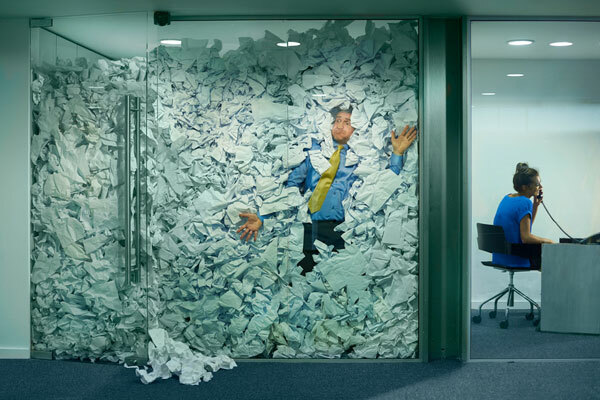 Take a step back and look at how much paper is controlling your dealership. Every deal you complete involves nearly 39 feet of paper. When a deal or repair order is complete, you have to store them all somewhere. That’s a lot of space taken up just to store paperwork. If a customer comes back and needs a copy of a document, you’re stuck digging through boxes and filing cabinets. The list, and the paper copies, goes on. 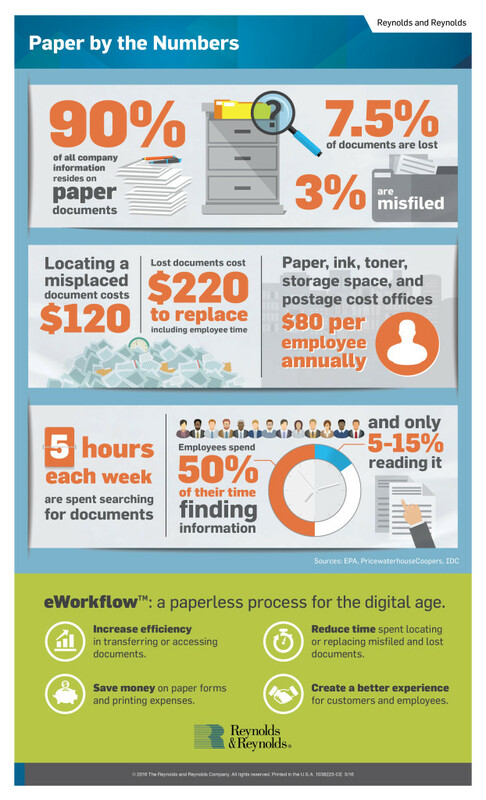 Check out the infographic below that shows just how much paper is costing a dealership. Scan documents and store them digitally. Paper has to be stored in a dealership, but it requires space. Some dealerships have been forced to build additions onto their dealership just for paper storage. Instead of spending tons of money and turning your dealership into a construction site, invest in a scanning system that allows you to scan all of the documents after a deal into one secure location. Customers can also receive all of their deal paperwork on a flash drive instead a large stack of papers. Have customers schedule service appointments online. Have your customers schedule online, eliminating the need for a physical calendar or schedule, which often results in accidental double bookings. A paper schedule can also be a liability if you have customer PII listed on appointments. When customers schedule online, they can provide a brief description of the problem with their vehicle, reducing the time it takes when they actually arrive. Email paperwork where it needs to go. From processing a deal with the bank to customer requests, paperwork can travel digitally to its destination. Your accounting office can process deals much faster by emailing documentation to banks for funding rather than sorting, packaging, and mailing it through FedEx. Customers requesting documentation can also be emailed copies of their paperwork instead of making them come back to the dealership for a physical printed copy. You no longer have to be dependent on paper. New technology and new processes can drive efficiency and profits while also enhancing the customer experience. Say goodbye to paper. It’s time to go digital.